Deadpool 2 hits theaters in a few days (my review here), but attention has long since turned to what is next for the mouthy mercenary. 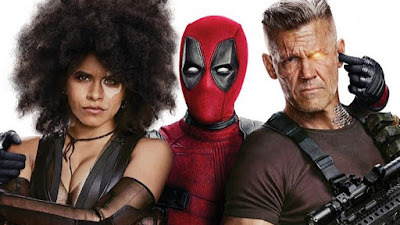 Ryan Reynolds has teased fans with the possibility of an X-Force movie that supplants a true Deadpool sequel, but that is really going to depend on how audiences react to the team's first appearance. It's...unconventional, I'll say that much. But now Reynolds is opening up about the future of Deadpool and X-Force in a new interview with Collider, and it sounds like plans are in the very earliest stages. The wait should give Drew time to finish up his current project, and Fox the chance to see how fans react to Deadpool 2. It's got some pretty big shoes to fill. Reynolds adds that there "isn't a script yet" but a storyline that everybody digs, which is a good start. “It’s all story first. I don’t think anybody’s thinking about the rating. I mean, my sort of wild guess would be that it would be an R-rated movie, but again, right now we’re just assembling the troops to figure out what story we would tell. And it’s a ways away from shooting still, and I don’t even have an idea as to the exact date. But yeah, we’ll see. Story first though." I think with Goddard writing the script rather than Rhett Reese and Paul Wernick there is a much better chance to see a PG-13 X-Force film. Reynolds was also asked about the pending sale of Fox to either Disney or Comcast, but of course had nothing new to offer. It's "business as usual" at Fox, which has been obvious to anyone paying attention. They are proceeding ahead like nothing will happen and honestly? It might not. We'll just have to wait and see. Deadpool 2 opens May 18th!